Lynne Murphy (Professor of Linguistics at the University of Sussex) will visit CU-Boulder to share her research on American and British varieties of English. "Separated by a Common Language? : The complicated relationship between American & British English". Abstract: When faced with British English, Americans are apt to be impressed and are often made a bit insecure about their own linguistic abilities. When thinking about American English, Britons often express dismissiveness or fear. This has been going on for nearly 300 years, developing into a complex mythology of British–American linguistic relations. This talk looks into the current state of the “special relationship” between the two national standards. How did we get to the point that the BBC publishes headlines like “How Americanisms are killing the English language” while Americans tweet “Everything sounds better in a British accent”? The answer is in a broad set of problematic beliefs. We’ll look at how different the two national Englishes are (and why they’re not more different), why neither has claim to being older than the other, and why technology isn’t making us all speak or write the same English. 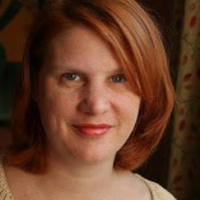 About the speaker: Lynne Murphy is Professor of Linguistics at the University of Sussex in Brighton, England. Since 2006, her alter ego Lynneguist has written the Separated by a Common Language blog. There, she reflects on UK-US linguistic differences from the perspective of an American linguist in England, while fighting the good fight against linguistic myths and prejudice. She continues that fight in The Prodigal Tongue: The Love–Hate Relationship between American and British English (Penguin, 2018).